A few years ago, my wife and I headed out to Arizona for some R&R. I think it has to be one of the best trips we’ve ever taken. We started off in Sedona and soaked in the beauty and peacefulness of our surroundings. We hiked a number of trails and even made a day trip out to the Grand Canyon. Breathtaking. It was my first time seeing the Grand Canyon in person, and I was just in awe. We then made our way to Scottsdale and spent a couple of days there at a spa resort. On our last day, we had a little time to kill before we had to be at the airport so we thought it might be a good idea to grab a quick bite. 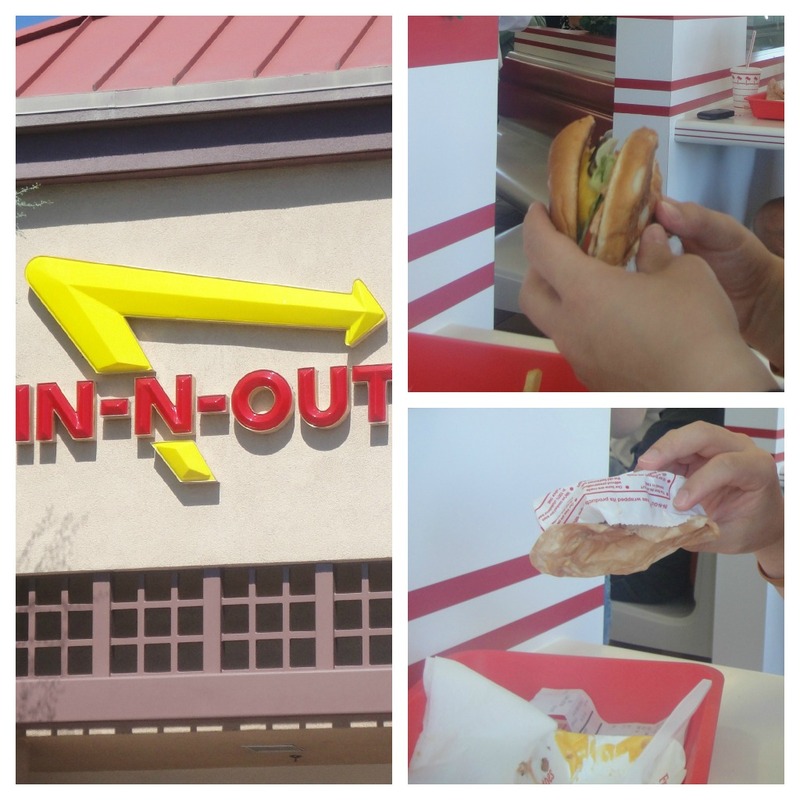 After driving around for a lil’ bit, my wife, with her keen eyes, spotted an In-N-Out. I couldn’t have been happier! I really should’ve gotten a double, but foolishly ordered a single cheeseburger. However, I did order a side of fries animal style, so that made things a little better. To keep this short, I’ll sum up my experience in one word – delicious. I sooo wanted another burger but by that time the line was pretty impressive and we had a plane to catch. A couple months back, I discovered that In-N-Out will be coming to Round Rock (the wonderful town outside of Austin that I live in) possibly as soon as next year. Expect a post solely devoted to In-N-Out when this happens :). 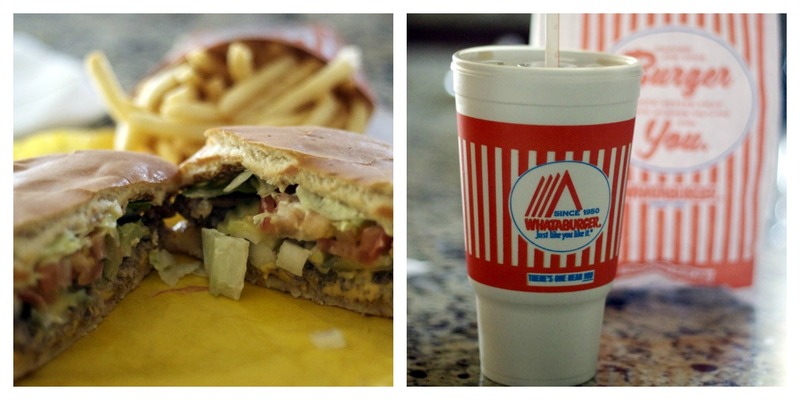 I begin my post with this story because just as In-N-Out is to California many would say Whataburger is to Texas (and yes…I’m one of the many). Opening its doors all the way back in 1950, Whataburger has been serving its customers “a bigger, better burger” for over 6 decades. What started as a single burger stand in Corpus Christi, TX has now become a restaurant chain that stretches through every state from Arizona to Florida (sorry, Californians and Northerners…Whataburger hasn’t made it out y’all’s way…yet). But enough with the history lesson. If y’all want to read more about this designated “Texas Treasure,” check out their website. Cashier: Would you like cheese on that? The Wife: What?! Why not? The Wife: Don’t you like cheese on your burgers? Me: Why yes. Yes, I do. The Wife: Then get cheese on your burger. And the rest is history. It had just become my habit to say no. Weird, huh? Anyway, back to my Whataburger…100% pure American beef (fresh, never frozen), American cheese, lettuce, tomatoes, pickles, diced onions, ketchup, mayo all served on a toasted 5″ bun. That’s right. A 5″ bun. It’s not all that fluffy, but it serves its purpose. Holds up surprisingly well to your typical burger juices. And the way they toast it…mmmm. Tasty. The Whataburger beef patties are thin but seasoned well and usually have a nice crust. There’s something in the aftertaste of the burger that I just love. It’s this amazing garlicky flavor. After all these years I still have no idea what component of the burger is imparting this flavor, but I do enjoy it. I did NOT upsize my meal. The drink you see in the picture is the size that comes with the regular combo. As I’m sure you’ve heard, things are bigger in Texas. 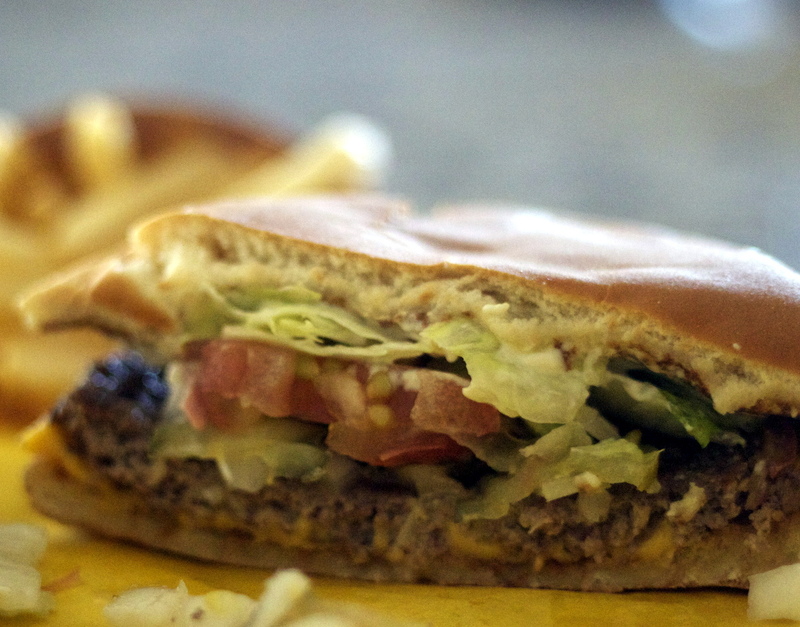 Now, the Whataburger cheeseburger isn’t going to win any beauty pageants compared to some of the burgers I’ve written about, nor is it going to knock your socks off with complex flavors or gourmet ingredients. However, when you’re looking for a quality fast food burger, you cannot go wrong with Whataburger. I don’t think I’ve ever had a negative experience here. And the particular location that I go to (Whataburger #709) has to be the best one in the country! The restaurant is always clean. The food always comes out hot and fresh. And every team member I’ve interacted with has always been kind and courteous. So even though there’s a Whataburger that’s closer to my house, I’ll go out of my way just to go to store #709. Good customer service goes a long way in my book. Hope y’all have a great weekend!! I think there may be a new burger on the horizon for me. Never had Whataburger?!? And how long have you been in Texas? You gotta try it and don’t forget the cheese! You get your burger wrapped in yellow paper rather than boring white when you add cheese.